The ReTire Recycled Rubber Tackboard by Best-Rite is made with a 100% recycled rubber surface- 90% post consumer and 10% post-industrial. This board offers moisture and chemical resistance in a stain and fade-resistant, washable surface. 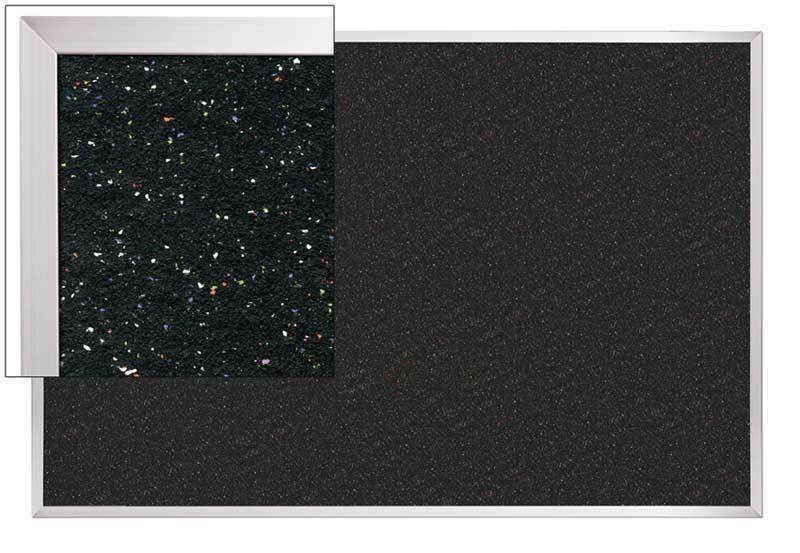 Predominately black, with multi-colored specs, this textured surface has unmatched durability. The trim is anodized aluminum. 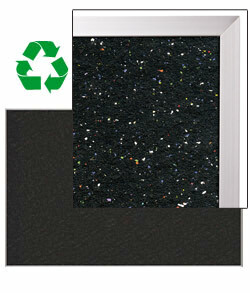 This tackboard is ideal for classroom, office, and commercial use and has a 20 year guarantee.